How Far is MF Vruksha? Destined in realty with more touch to imaginary skyline is what we can describe Nanmangalam in Chennai. The Real Estate Trend in Chennai has never disappointed people looking out for potential investment opportunities. Many localities in and around Chennai and its suburbs are places where investing in realty is the best options. Chennai a place where you can find a real estate agent in every street is also overflowing with projects namely plots, apartments, villas. How to invest in Realty? The only option is to do a property valuation of the project you are interested in and analyzing the trends of realty. Living spaces are never to be compromised as they are with us for a long period of time. Customers should always know the checklist before buying a land in Chennai. Never just stop with dream home, achieve them by choosing the best project. Building a home has always been one of the decisions where people think a lot, as it is one of their Dreams. People looking for homes either to invest in or to Live, are easily satisfied by the infrastructure and trends of the locality. The locality also has the main things a person needs to live in Starting from Scratch to Ultra Luxury. A perfect home is a place where you would feel yourself detached from your inner self. MF Vruksha stands apart among ready to occupy residential projects in the heart of Chennai. 1,2 & 3 BHK Apartment in Nanmangalam built to suit the needs of a compact home seeker and more than that to fulfil the need of affordable housing. 2BHK Apartment built with aesthetic design to combine both space and compact plan with built up area sizes ranging from 939 – 1073 Sq. Ft. 3BHK Apartment in Mount-Medavakkam Main Road built with built up area size ranging from 1278 – 1310 Sq. Ft. The interior as well as exterior of the dwelling is crafted in such a way so that you spend quality time with your loved ones throughout the seasons. All apartments are well furnished and planned with proper cross ventilation. MF Vruksha is indeed a grand residential project where one can cherish beautiful moment with your loved ones. 200 Lifestyle Gated Community Apartments located at Mount - Medavakkam Main Road, Nanmangalam (Off Thuraipakkam - Pallavaram 200' Road). Six Blocks with Stilt +4 floors with Necessary Amenities. External walls 9”thick. – Internal Walls 4½” thick. External walls plastered with cement mortar and painted with exterior quality emulsion paint – Internal walls plastered with cement mortar and painted with emulsion paint over putty finish. All flooring other than toilets finished with Vitrified tiles and skirting with vitrified tiles. Entrance Door – Teak wood frames and fibre moulded skin doors with French polish finish– Bedroom Doors–Treated hard wood frames and flush doors with enamel paint finish – UPVC / Aluminium glazed windows with MS security grills. Ceramic tile cladding upto the 7’0” height – Anti skid Ceramic tile flooring – Branded Sanitaryware – EWC and Wash basin (white) Parryware or equivalent – CP fittings Jaquar, Something special or equivalent – Power and Water outlets for water storage heater–Power outlet for exhaust fan. Black Granite counter – Ceramic tile cladding 2’0” high over the counter – Single bowl, single drain board stainless steel sink – Ceramic tile cladding upto 5’0” in the utility – Power and water outlets and drain for washing machine. Concealed wiring with flame proof copper wires– Anchor Roma or equivalent modular switches –Three phase power supply with MCB equipped distribution boards– Wiring and metal clad switches for split AC in all rooms. TV outlet jacks in living room and the master bedroom. Bore wells – Underground sump –Sewage treatment plant – Rain water harvesting system. Mettupakkam Foundations Pvt. Ltd. (MFPL), is one of Chennai’s premier builders, fulfilling the societal need for their dream home since 1996, promoting Villas, lifestyle apartments, residential layouts and commercial spaces. We are renowned for our lifestyle homes and quality construction, and are conventional, yet modern in our concepts. The MF Prayag one of the Residential projects of the builder which is a plot development in Mahabalipuram, ECR. The builder has been developing landmarks in and around Chennai and its suburbs, which has created a good vibe around the users due to its planning and amenities offered. The MF Ram one of the under-construction projects of the builder being in one of the hot selling areas of Chennai, developed with 3BHK Apartments in Kodambakkam. 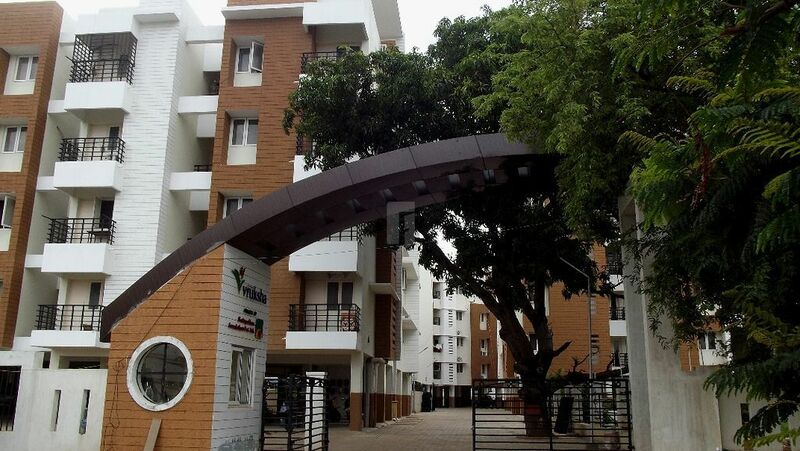 The MF Vruksha a ready to Occupy project which is decked up with 1,2,3BHK Apartments in Nanmangalam, Chennai. The builder has been analyzing the needs of a customer, and the locality which likely a user affords. Major residential hubs are localities where the builder concentrates first as they have high needs for residential projects. We have constructed more than One Million Sq. Ft., of residential and a few commercial projects. MFPL is a professionally managed ISO 9001:2008 accredited organization and have promoted villas and apartments in prime locations of Chennai and its suburbs. The company is managed by professionals from various sectors who have excelled in their respective departments. The company, with two decades of credible business practices, is one of the prominent business groups in Chennai. They have successfully completed many ventures and their popularity has grown beyond the national boundaries. MFPL adheres strictly to the policy of using only branded materials direct from the factory and are known for their timely completion of projects and guarantees efficient quality control management. Since its inception they have always maintained focus on integrity, customer delight and commitment to deliver.